Yaya Toure to leave Manchester City at the end of season – Royal Times of Nigeria. 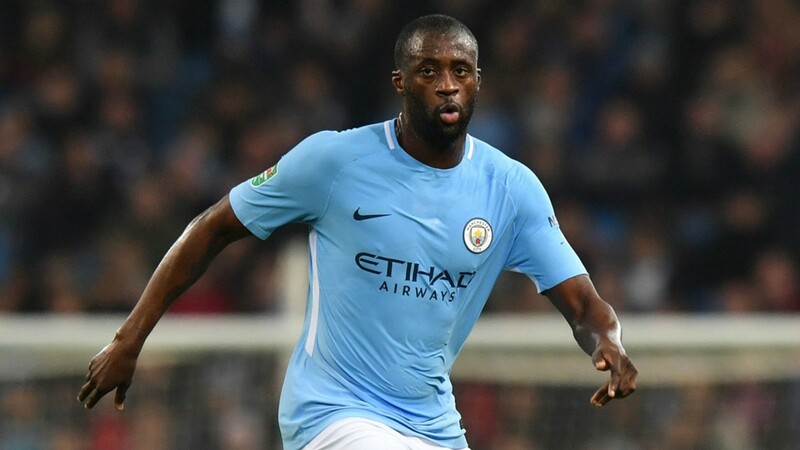 Manchester City manager, Pep Guardiola, has confirmed that Yaya Toure will leave Manchester City when his contract expires at the end of the season. The 34-year-old midfielder joined City from Barcelona in 2010 and has won three Premier League titles, three EFL Cups and the FA Cup. City will lift the Premier League trophy after their game against Huddersfield Town on Sunday and Guardiola confirmed Brighton and Hove Albion’s visit in their final home match of the campaign will be a celebratory farewell for Toure. When asked whether a decision had been reached regarding Toure’s future, Guardiola said: “Yes, he’s not going to stay next season. In the Brighton game we are going to make one of the most beautiful farewells one player can receive. All that game will be focused on winning the game against Brighton and on Yaya. We are going to try to win for him. We cannot forget we have magnificent facilities but we cannot forget that the club gets higher and higher because of the players”. “Yaya Toure came here at the start of this idea of the club and what we are in this moment is because of what this guy has done. “We cannot forget that in the leagues from the period of [former managers] Roberto Mancini and Manuel Pellegrini, Yaya was the key, key, key player. We will prepare tomorrow’s [sic, Sunday’s] game for our celebrations and then after is for Yaya”. In all competitions, Toure has made 315 appearances for City, scoring 82 goals.